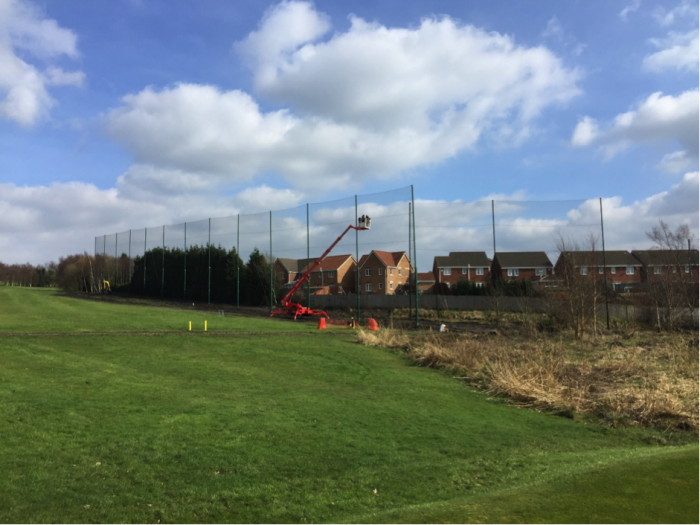 Storm Callum caused some damage to golf clubs last month, including to driving range netting and the nets protecting neighbours of golf clubs from stray shots. And the weather forecasters are predicting there will be more named storms to come over the next five months! We can provide a service to replace damaged sections of netting, replace broken support wires and replace damaged posts. Please contact Mark Cowling on 01308 488939 or mark.cowling2@btopenworld.com if you need any assistance with repairing any damage. Pro-Fit Net Installations is a specialist company in the field of sports’ nets and ball catch netting systems. We are one of the most experienced installers of ball catch systems in the UK with the key staff having over 25 years of personal experience each. Our experience covers both outdoor and indoor facilities for golf and other sports. If you are setting up a new teaching facility or want to improve your existing teaching area we would be pleased to help. 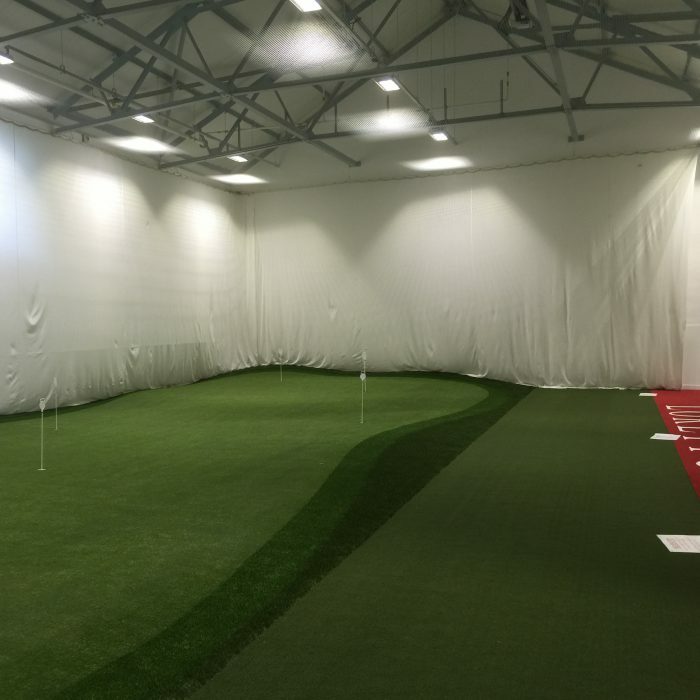 We have designed and built indoor practice facilities with the nets movable on tracks to provide some flexibility in the space available. Other systems have included projection quality strike nets so that the most up to date computer aided teaching techniques can be employed. Simpler systems are also available as each system is designed to fit the space available and to meet the requirements of the customer. We can supply and install outdoor practice facilities including single bays, multiple bays and multiple bay dividers for driving ranges. In conjunction with the repair service mentioned above we can also build new ball catch fences. This will include driving ranges, fairway nets and smaller nets at the back of greens to catch those stray approach shots. 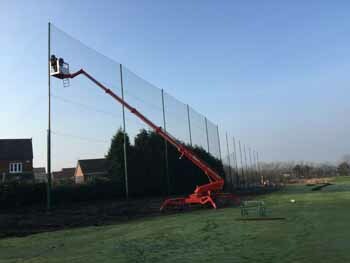 Our usual height limit is 15 metres, however we can provide systems that go higher if necessary, using the more obtrusive lattice masts. We are happy to build to our customer’s specifications, but our engineers have the experience to enable them to recommend the best ball catch system to meet your requirements. We aim to be on site for the minimum time necessary to complete the project to reduce any disruption and use the latest equipment to reduce ground damage.